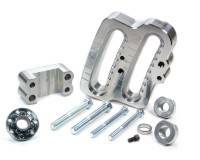 BSB Manufacturing provides many of the finest suspension parts on the market today. Axle pullers thread into axle for easy installation or removal. 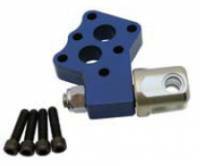 Tool typically include adapters for fine or coarse 3/8" threaded solid axles, and 3/4" coarse threads for gun drilled axles. Birdcages require regular maintenance and replacement parts. 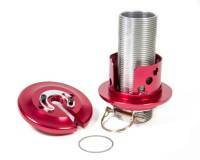 PitStopUSA.com has a wide variety of Birdcage replacement parts including Birdcare Brackets and Plates. Shock Mount made for specific cages allow you to move you mounting location on certain brands. Pit Stop USA is The Online Motorsports Superstore! 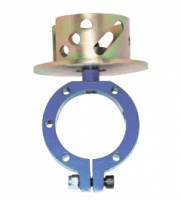 We feature BSB Steel Roller Bearing Birdcages at low everyday prices. A J-Bar bracket with a slotted adjustment allows for quick changes. A wide adjustment range with slots verses holes will help your car to find every ounce of speed. A frame side Panhard/J-Bar mount that adjusts quickly can maximize practice time ensuring you have every chance to dial in the car. The slider version allows for precision locating and increments as small or as large as you need. 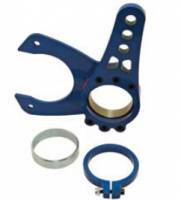 Getting the right Adjustable Panhard Mount will allow you to quickly change to rear roll center inbetween races. Pit Stop USA is The Online Motorsports Superstore! 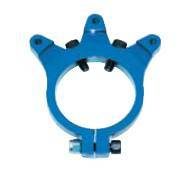 We feature Retainer Clamp Rings at low everyday prices. 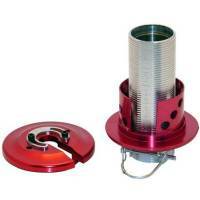 Check out the Recently Listed Shock-Strut Mounts. BSB Adjustable J-Bar Panhard Bar - 18-3/4" To 21-1/2"
BSB Adjustable J-Bar Panhard Bar - 20" To 22-3/4"
BSB Adjustable Steel Pinon Mount Panhard Bar Mount - Ford 9"
BSB Brake Ring Axle Mount - Accepts Metric Or Big GM Bracket. Pit Stop USA is The Online Motorsports Superstore! BSB Manufacturing provides many of the finest suspension parts on the market. Manufacturing has been producing parts for major chassis builders and distributors for the past many years. BSB Manufacturing builds parts for both Late Models, Modifieds and Mod Lites, and work closely with the chassis builders and team drivers to bring you the best product possible. BSB Manufacturing is not the oldest suspension manufacturer around but they are among the best. We feature BSB 90 Degree Steel Clevis Shock Mounts, BSB Adjustable J-Bar Panhard Bars, BSB Adjustable Ford 9" Steel Pinion Mount Panhard Bar Mounts, BSB Adjustable Quick Change Steel Pinon Mount Panhard Bar Mounts, BSB Aluminum Panhard Frame Sliders, BSB Bearing Chain Holders, BSB Bearing Steel Brake Floaters, BSB Birdcage Bearing Locator Kits, BSB Brake Ring Axle Mounts, BSB Clamp-On Spring Buckets, BSB Double Sided Adjustable Pinion Panhard Bar Brackets, BSB Double Sided Steel Frame Sliders, BSB Double Sided Steel Frame Sliders, BSB GM Metric Brake Brackets, BSB Outlaw Slider Coil-Over Eliminators, BSB Outlaw Two-Way Pull Bar, BSB Outlaw Two-Way Torque Absorbers, BSB Roller Bearing Birdcages, BSB Shaw Roller Bearing Steel Birdcages, BSB Shaw Roller Bearing Steel Birdcages, BSB Skyrocket Clamp-On Spring Buckets, BSB Skyrocket Roller Bearing Steel Birdcages, BSB Slider Wrench For Coil-Over Eliminators, BSB Steel Bolt-On Shock Mounts, BSB Steel Frame Sliders, BSB Steel Frame Sliders, BSB U-Weld Steel Birdcage Kits and more at low everyday prices.